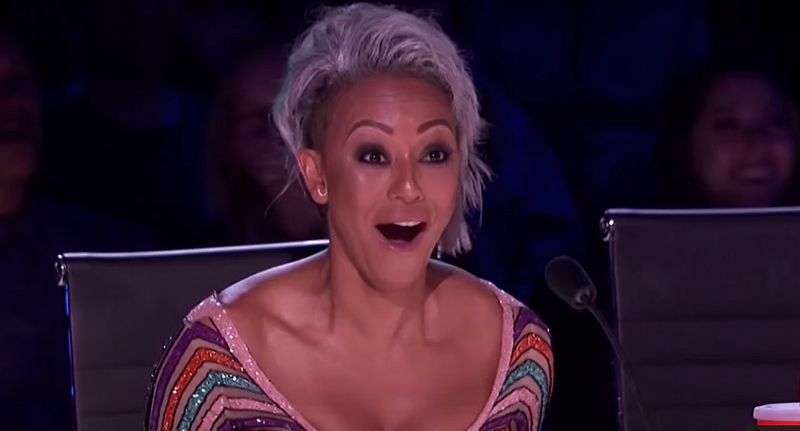 Mel B stormed off stage in a dramatic turn of events on America’s Got Talent after co-host Simon Cowell insulted her marriage in a dark joke. After a danger stunt went wrong on last night’s show, Simon Cowell experienced some technical problems of his own, appearing to disengage brain before opening his mouth. 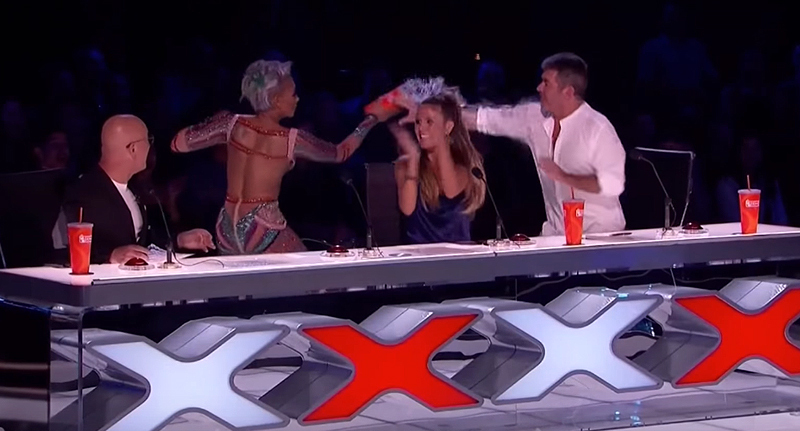 Moments after competitor Demien Aditya’s Death Drop was revealed to have experienced some technical difficulties, co-presenter Tyra Banks asked Simon Cowell for his thoughts on the failed performance. I imagine this would be like Mel B’s wedding night… A lot of anticipation, not much promise or delivery. Needless to say, Mel – who is currently going through divorce proceedings with Stephen Belafonte – had chucked a glass of water over her boss and stormed off the stage before he even had chance to deliver the punchline. Tyra added her own narration, commenting, ‘Mel B is out’. Banks was quick to reassert the fact that viewers were enjoying the drama and unpredictability of ‘live’ TV that definitely, definitely wasn’t staged. Mel B, of course, came back on stage to judge the second act. She and her co-presenter set the bar pretty high with this little stunt.